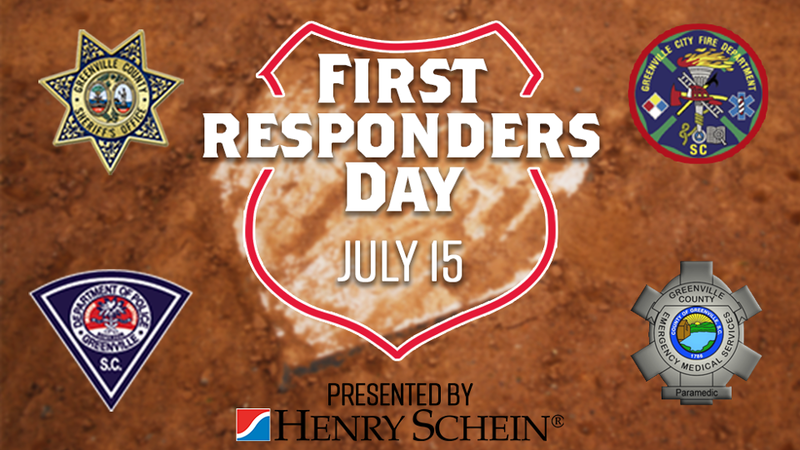 On Sunday, July 15th, Fluor Field will host First Responders Day, presented by Henry Schein. First pitch against the Lexington Legends is at 4:05 PM, but the fun starts at 2:00 on Field Street with "Heroes Alley" which features hands-on exhibits, patrol cars, EMS vehicles and much more. All children who attend "Heroes Alley" before the game will have the chance to participate in a pregame parade at 3:30 as Future First Responders, along with first responder vehicles and actual First Responders. Don't miss this special day as the Drive salute the bravery and sacrifice of First Responders, as well as their efforts to keep the Greenville community safe on a daily basis. Pepsi will be set up at both gates with samples for fans to try, and be sure to stick around after the game for BlueCross BlueShield Kids Run the Bases. 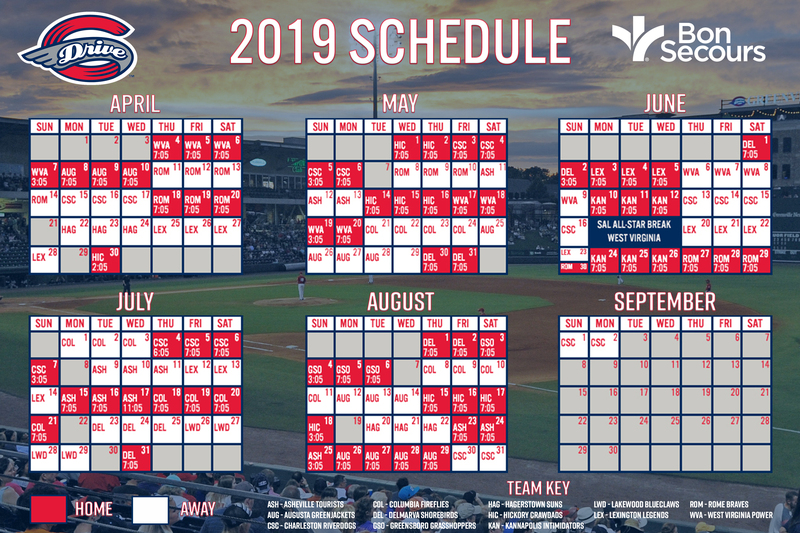 Purchase your tickets for Sunday's game at the Main Street Box Office, by calling (864) 240-4528 or by CLICKING HERE.